Over the years, the first area to show the passing of time is your face. Wrinkles, fine lines, and skin blemishes can make you look years older than your true age. To turn back the hands of time, you know Botox can help; however, you want a less invasive treatment. Now, you can look younger using a skin therapy treatment that caters to your exact needs. Throughout your life, there may come a time when you feel less than your best. You may experience unexplained sleeplessness, mood swings, hot flashes, or other symptoms. Although you have learned to live with the changes, you can restore your quality of life. Often, the issues you are having are due to hormonal imbalances. They occur naturally throughout life or due to external factors, like stress. No matter the cause, bioidentical hormones can help. Over the years, it is normal for you to experience hormone imbalances, such as due to aging, pregnancy, or stress. As this occurs, your quality of life can significantly decline as a diversity of symptoms develop, like weight gain, mood changes, or hot flashes. To reestablish a harmonious balance, many people are now turning to a natural solution with bioidentical hormone therapy. When choosing it as an alternative to traditional hormone replacement, you need a doctor by your side who is experienced and qualified in the area. Dr. Connie Casad is the physician for you. Is BMI Important for SmartLipo? Are you ready for a sculpted body? When diet and exercise are not enough to give you the results you want, you may be ready to turn to cosmetic treatments to rid unwanted body fat. Before you can undergo any procedure, your Body Mass Index (BMI) must first be evaluated. Your BMI plays a crucial role in defining your candidacy for any liposuction-type procedure. Comments Off on Is BMI Important for SmartLipo? When you look in the mirror, are you starting to see the passing of time as wrinkles and fine lines have started to develop? Although they are a normal part of the aging process, it can cause you to feel insecure about your appearance. 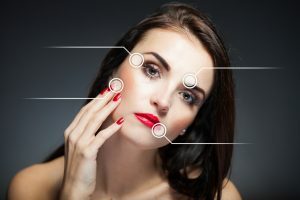 While it may seem like you have no choice but to live with the changes, you do have several options for wrinkle treatment. Now, there are a variety of solutions you can use to turn back the hands of time. Over the years, you expect your appearance to change as wrinkles and fine lines form while a few gray hairs may show. Although you may not look forward to it, you are prepared for these changes, but you never expected to develop enlarging or spider-like veins. It is estimated that 25% of women and 15% of men will experience varicose veins, which typically occur anywhere on the legs. In some cases, spider veins may appear as well. Although they do not pose a health risk, they can cause you to feel insecure about your appearance. You can decrease their visibility without surgery using vein therapy. Have you noticed changes in your overall well-being? Maybe you are tired all the time, or you have developed mood swings? You could be suffering from a hormonal imbalance. Hormones are chemicals in your body that travel to various tissues and organs to tell them what to do. When you have too much or too little of one or more, it can significantly decrease your quality of life. To treat the problem, you may need hormone therapy. What Areas Can ThermiSmooth Treat? Over the years, you will notice that your body is starting to show the passing of time. Your skin will begin to lose its elasticity, causing wrinkles and fine lines to develop. Not to mention, cellulite can form in various areas of your body. These changes can cause you to feel quite insecure about your appearance. While you would like to turn back the hands of time, you do not want to undergo an invasive or surgical procedure. Now, you do not have to with ThermiSmooth. You can treat multiple areas of your body using the next generation of skin rejuvenation treatments. Comments Off on What Areas Can ThermiSmooth Treat?